For securing the overall development of the financial situation of the state, the expansion of the manufacturing industry, on small and medium scale is very important. With the implementation of the Mukhyamantri Yuva Udyami Yojana, the Madhya Pradesh government has ensured that all individuals, interested in setting up service or manufacturing industries, will be assisted financially. For the people of MP – The scheme has been designed and developed for assisting the candidates who are permanent residents of the state. Only people with proper residential proof will be permitted to apply. Academic criteria – It has been states in the guidelines of the scheme that all applicants who desire to receive the financial assistance from the government must have successfully passed the 10th standard examination. Age related criteria – All applicants who want to get money and interest subsidy from the MP government will have to belong to the age group of 18 years to 40 years. Anyone below or above the said mark will not be given the benefits. No defaulters will be granted the benefits – any person who has been a defaulter under any credit, taken from any bank or government scheme will not be allowed to be a part of this program. Cannot be part of any other scheme – If the applicant is already getting monetary benefits or otherwise, under the state, then he/she will not be allowed to be a part of this scheme. Only new applicants will be allowed to register. One time set up – Unlike some other government schemes, all applicants under the scheme will be able to get the monetary assistance for one time only. They will be given the money for setting up the industry for a single time. Minimum Loan Limit – The government will grant a specific amount of money to the candidates, depending on their business idea and their requirements. The minimum amount of loan that the individuals will get is 10 lakhs. Maximum Loan Limit – All the selected individuals who have applied under the scheme stand a chance of acquiring a maximum amount of 1 crore from the government coffers. Loan tenure – The individuals will be given the credit for a time of seven years. They will have to pay the credit back with the span of these years. Subsidy Rate – The interest rate will also be subsidized. All creditors will have to pay the interest at a subsidized rate of 5% for the entire loan tenure. Guarantee fee – The guarantee fee is charged on the credit amount. But to lessen the burden pressure from the shoulders of the applicants, the guarantee fee will be calculated on the basis of the current rate for 7 years. Collateral Security – To lessen the worries of the applicants, the government has announced that the applicants need not keep any collateral security against the credit. They will however have to produce the papers of their business establishment. Margin Money – The applicant will also be entitled to get 15% of the total expense of the business or 12 lakhs, whichever less. Training to the individual – Apart from the monetary assistance, the individuals will also stand a chance of getting professional training to get better at the business. The government will provide the creditor a time span of 7 years to pay the loan back. The interest and the loan amount must be paid back by depositing in in the loan account. Business setups need money and the government will provide this assistance to the deserving candidates. The best way of doing this is by filling the registration form that can be acquired by clicking on the link http://www.mpindustry.gov.in/MYUY_Application.pdf. Aadhar card for residential proof – As the program is state exclusive for MP; the applicants will have to provide their Aadhar card. It will assist the authority in checking the residential claims and identification of the applicants. Age proof – As the candidates must belong to a certain age group, they will have to attach an age proof certificate with the application form. It will support the age related claims made by the applicants. Academic certificate – The applicant will also have to attach a photocopy of the pass certificate of 10th It has been mentioned in the draft of the scheme as well for supporting the academic eligibility claims. Documents of the business – All documents and papers, associated with the business or industry must be attached with the registration form. It will give the authorities a clear idea about the business plan. Business registration documents are also a must. Certificate of non-defaulter – As the applicants must not be a defaulter under any other credit scheme, appropriate certificates from the banks, stating the same must be attached with the registration form. Bank account details – The money that the applicants acquire from the government will be directly deposited in the respective bank accounts. Thus, the bank details and the bank account numbers must be provided. For filling the registration form online, the interested candidate will have to click on the authorized link of the site, i.e. mmsy.mponline.gov.in. The candidate will have to choose between two options. In case this is the first time for the candidate, they will have to log in and create an ID officially. If this part has been handled already, then the candidate can just click on the “Sign In” option. The successful log in will require the ID and the password that will be generated once the candidate has registered in the site officially. 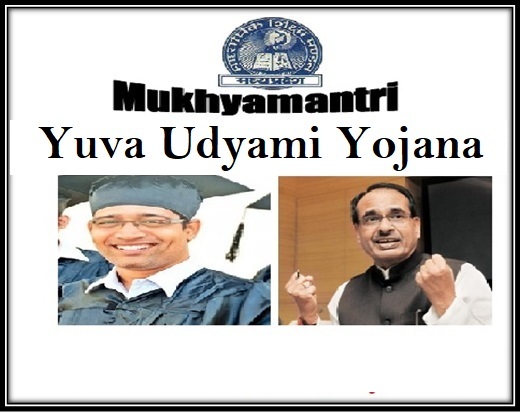 After the candidate has logged in, they will get access to the Mukhyamantri Yuva Udyami Loan Yojana application form. The form must be filled with all required details. Check the information for eliminating all chances of errors. Once this has been done and the required documents have been attached, the applicant needs to click on the “Submit” button. All candidates who wish to tackle the registration procedure offline will have to visit the office of the authority at district levels. The application forms will be given to the candidates free of cost. Once the form has been collected, the candidates will have to fill it up and attach all required documents for verification. The filled application forms must be submitted at the respective offices. It is the duty of the selection committee to verify all the applications and then make the selection of the individuals who will be given the monetary assistance. With the assistance of the government, the common people will be able to give shape to their business ideas. As these micro, small and medium ideas flourish, it will create job opportunities for the local people and will also contribute positively towards the economy of the state.